Don’t use your address on your checks always use your Po Box on your checks and any other information papers. Same goes with section 8 ask them to use your PO BOX for your mailing address and not your home. The reasons you want to use your address is because you want to keep your address private and you don’t want an angry tenant showing up because of a dispute or deposit refund. When something breaks always replace it with an item that last the longest, don’t just buy the cheapest, use the replacement parts that last the longest. When choosing a paint find something that is a neutral color like a tan not too light and not too dark, a color that can go with everything. Once you have that color picked out stick with it for all your rooms and all your other houses, this will make it so much easier when you have to touch up when tenants move out, repairs, and keeping track of what paint you used. For the Kitchen and Bathrooms use a semi-gloss paint and for the Bedrooms and the rest of the house use a satin paint. Do not use flat or egg shell they just get dirty too fast and these types of paints love dirty hands. Buy some Rubbermaid bins to store all your paint supplies and to help keep it in one place to find, items: paint brush, rollers, rags, paint pans, drop cloth, lid opener, and also get a rubber hammer and when you seal the lid of the paint can make sure you cover the lid with a rag so the paint don’t splatter everywhere. Your biggest repairs will more than likely be plumbing and a/c units for the south and heating in northern areas. So make sure you have good people on standby for these repairs. Over time you will notice that these repairs are NOT too hard to fix yourself. So plumbing if you need to start saving money on repairs start buying the tools that are plumbing related and store them in a toolbox or bin that is plumber tools related, and plumbing supplies as well. Buy a book on plumbing and start learning plus this will help you with any repairs at your house. For the a/c and heating part somethings is easy to do and somethings you just need a professional to take care of. One of the easiest things to check is if the fuse is bad or breaker. Also don’t forget the a/c drainage line to make sure it’s clear. Use the “Keep” app from Google this is a very useful app and it stays sync with your other devices. Make a list of the things you have to do or things you have to buy at the hardware store. It can store notes, pic, and a to do list. Even use it as a grocery list and you can check off the products as you put them in your cart. Use Google Voice as your main contact number instead of your cell phone number, later on you can give them your cell phone number once they signed a lease agreement. Google voice let’s you forward the number to a different phone or multiple phones. When you answer your phone from Voice you can hear the person leave a voice mail and you can hit a number to start talking in case it’s important. Another great option is that you can have the incoming number come up on your cell phone as your google voice number and you will know right away what the number is about and the purpose. For bank loan purposes keep your property P&L (overview) up to date. This is needed for loans and is helpful guide for you. It shows the price you purchased the property, loan balance, and value of the porperty. Has all the insurance and taxes listed for each property you want a copy of it send me an email. Here are some websites to use to find rental properties Realtor.com shows almost every property listed on MLS / HudHomeStore.com wait for properties to be listed ready for investors, select investor from the drop down menu. / Homepath.com is the official foreclosure website owned by Fannie Mae. 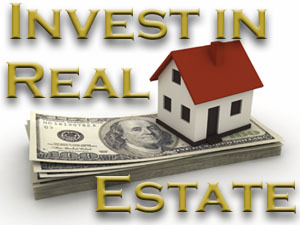 Some properties are not even listed on other sites, and they have a section for investors. When you first buy a property that is vacant make sure you have someone at the house when they turn on the water, sometimes this is hard to time but try to have a list of things to do so you can wait for water dept. If not try to shut off major items like the hot water line or if possible shut off the water at the water intake line into the house, but sometimes the water department turns that back on, usually they shut off the line when the water keeps flowing then they shut off the line and let you do the repairs but sometimes they leave it on and it does happen.